weather here is so bad, which obviously effects the result. Today begins a new challenge at Alphabet Challenges. very popular in the UK, so let's see how popular it is. Please take a peek at the blog to see the DT cards. My card is a 7" scallop edge square card. 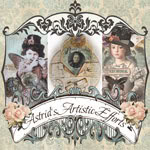 Katy Sue Designs for Crafty Sentiments. The flowers and the girl are decoupaged using 3D foam tape. Little pearls added to the background paper. Larger pearls added to the centre of the flowers. is dreadful, rain, hailstones and very dull skies. Today begins a new challenge at Cardz 4 Galz. Maryvonne has chosen - A Shaped Card. The DT have some wonderful inspiration, please go and take a look. My card is a scallop edged octagon, with circular die papers and card. The centre circular die was stamped with a LOTV Floral Vases. Papers and card are from my stash. Julie has chosen --- The Great Outdoors -- so many options with this. The DT have a ral mixture of ideas, please check them out. appropriately called - In the Country. I used papers from my stash, a few leaf dies from a set from The Works. An old button with twine. The stamp was coloured with Promarkers. 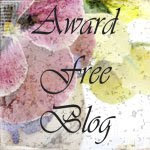 The Design Team have a wonderful display on the blog. 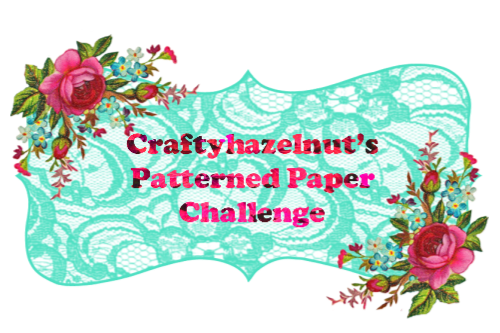 a Crafter's Companion paper Pad Downtown Abbey. 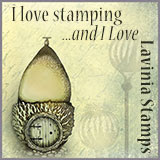 The beautiful stamp is also from Crfter's Companion. were created using a stamp from a set bought at The Works. Hello again, thanks so much for visiting me. I hope you call again. The Holly and the Ivy Challenge Blog. 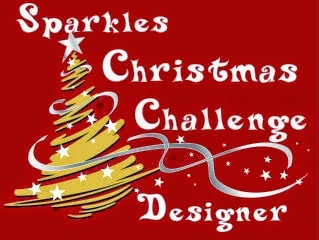 Christmas we would love to see you enter the challenge. Please check out the blog and see the inspiration from the DT. I have used Kraft card to mat all of my papers and layers. The blue papers are all from Simply Christmas CD by The Dreamees. The adorable stamp is by Little Claire Designs. I used Promarkers to colour the image. Have fun. Hello, thanks for your visit, all comments are greatly appreciated. Today we begin a new challenge at Cardz 4 Guyz. Please check out the amazing DT inspirational creations. The stamp is The Golfer by LOTV. I used dark brown card to mat all of the pieces. challenge at Make My Monday. folders or use embossing powders and heat tools. The design team have some amazing ideas, please take a look. Resist Technique. I dusted my card with anti-static powder. with Versafine ink pad, added clear EP. Heated with heat tool. Once cooled I then blended 3 TH Distress Inks. don't you just love the names of the Distress Inks? Added faux stitching around the card. Have fun. is Kraft card, lemon/yellow and blue. Craft Sensations. The stamps are by Woodware - Burst into Bloom. made by the Design Team. I used for my base card a 7" scallop edge card. from a CD by The Card Hut - Fabulous Tea and Cakes. The greeting is by Leonie Pujol from a Love Hearts stamp set. Have fun and please stay well. Thanks for your visit. Handbags and Gladrags from the design team. For my card, the base is a 7" scallop edge card which is light cream. are from a CD from Katy Sue Designs. Using gold mirri card and a piece of backing paper I created the panel. I decoupaged the dress and handbag. The sentiment is from Honey Doo stamps, gold embossed. Have fun and hopefully stay well. Thanks for visiting. .
Hello, I hope your well and thank you for your visit. Sian has chosen for us - Animal Antics. Please pop over to check out the cards made by the DT. many more of the antics animals get up to. 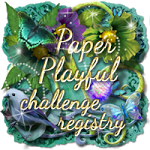 paper pad by Dovecraft - Garden Party. The sentiment is by Leonie Pugol. nice to see new faces and names being added. your not allowed to use any designer backing papers. for the background. The bird stamp is by Inkadinkado. The Love sentiment is by Leonie Pujol. A simple yet pretty card. Hello again, thanks so much for popping by. joining in my first challenge for the blog. A card which has been - Inspired by a Movie or a Book. the works of J.K. Rowling - The Harry Potter stories. Tandastamps (expired) the remaining stamps are from Indigo Blu. Coloured with Distress Inks and coloured pencils. Hope you have fun creating your card. Hello, thanks for your visit, hope your well. our theme will always be Anything Goes. Please pay a visit to check out the DT inspiration. shiny red nose and his red heart. Hello, hope your feeling well, thanks for your visit. The team have again provided some wonderful inspiration. Pollyanna Pickering artwork, provided by Creative Crafting World. Hello, thanks for your visit. April already, how did that happen? April Showers - to show anything we associate with rain. The DT have some terrific ideas to inspire you. Beach Life. I used Kraft card throughout for matting. The stamp is a favourite of mine, from Little Claire. added to the raindrops and puddles. Leonie Pujol from a stamp set - Love Hearts. will last until the end of March, so lots of time. Sandra H would love to see Candy Cane. please pop over to see them. I souced mine. Coloured with my Promarkers. Red paper background from Christmas papers stash. Greeting a die cut by Spellbinders.